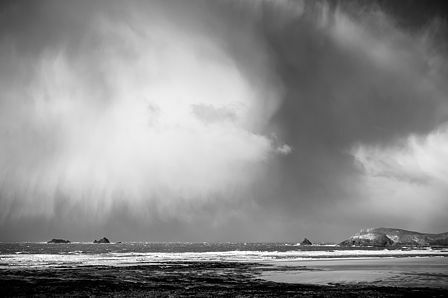 I went to Constantine Bay yesterday morning and in between the heavy showers and gusting winds I managed to take a few nice photos. I was particularly pleased with this one – and yes, I thought it would work well in black & white as I was taking it. Click on the photo to see some more of the photos on my Flickr feed.